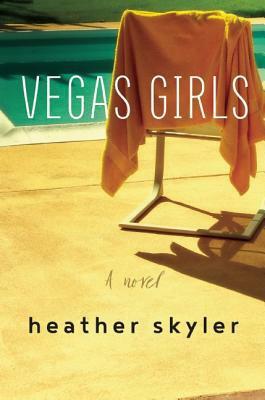 Vegas Girls begins when three former high school friends, now in their mid-thirties, reunite in their hometown of Las Vegas—a city they vowed to escape as soon as they could—to celebrate their new lives and revisit old haunts. But what starts out as a week-long, sun-kissed reunion takes a strange turn as mysterious gifts appear, familiar faces pop up in unexpected places, and each woman reveals a secret, private quest. Set against desert heat, swimming pools, and casino lights, and told masterfully through five different points of view, Vegas Girlsis about how we navigate the present while carrying the ghosts of our past; about growing up with one eye glued to the rearview mirror; and about what happens when the past you thought you left behind turns out to have been with you all along. I haven't heard of this one, but it sounds good. BTW- I just got my copy of Truly Madly Guilty in the mail yesterday....I can't wait to sit down with it. Definitely sounds interesting. Hope you love it! Sounds like a great book ~ Hope you love it! Thanks for stopping by my blog. I have this one for review and I'm excited about it too! Great choice as always. This sounds intriguing! Nice choice! Sounds like a good one I hope you enjoy it. Have a great day. The author has such a great touch with imbuing the atmosphere of Las Vegas into this novel and her first one. 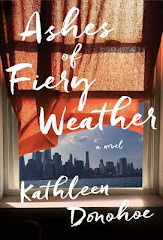 In this novel her characters are long-term friends who reunite and support each other and yet her writing is so good that this doesn't devolve into something sappy or over sentimental. The setting, characters and plot are all well-executed. Definitely worth reading.